Ceci n'est pas ... A Lamp that Defies Convention — SORS. After 18 months of full-time engineering, Russian-Italian Designer Ilia Potemine finally introduced his new genius invention: the ISP Lamp. Having no switches and no bulbs, this lamp brings mystical reality into any interior just by one simple slide of your hand. Inspired by aircraft and machinery, Potemine has pushed lighting to the extremes like no one before. 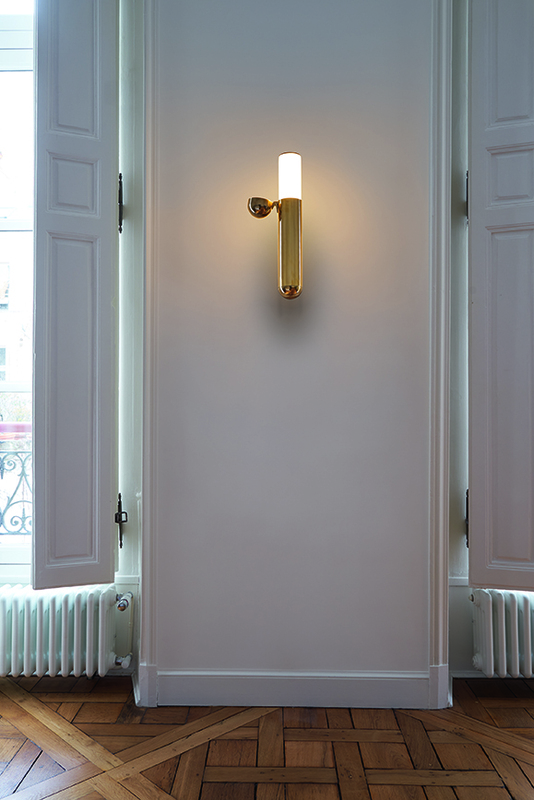 Designed in conscious opposition to the standard artefacts of our time, Potemine’s lamp is more like a beautiful torch, like the baton passed between the runners in a race that counts only the enlightened and initiated among its participants. Potemine uses mechanics, machined, electrical contacts and LED’s to create the lamp that reminds us of airplanes. He even covers it with a brass hood that is just like a fuselage. No dimmers, no transformers, no switches, pure beauty and genius. A simple method of lighting and extinguishing the lamp just by removing its brass sheath allowed Potemine to bring everyone` science fiction dream to life. ISP lamp is not only about design: it has its own mythology. This lamp creates its own minimalistic interpretation of the injunction to `Let there be light '. It is light itself. The combination of genius mechanics and extraordinary design in brass and white or black marble creates not only a new dimension in lighting design but also a unique lighting experience.